There are many people who are simply love the monsoon. The trees look very happy in the monsoon and so are all the animals and the humans, too! The monsoon brings great comfort everywhere and the problems of heat and water get solved. Monsoon creates many new travel destinations which attract many of tourists from around the country and also foreigners. These tourist destinations are fantastically covered with greenery everywhere. People plan different destinations for travelling in monsoon in India. If you are confused or wanted to know the best monsoon destinations in India, then we have a list for you here. Munnar is a very beautiful place in the Kerala state. This place is half covered mist and have very attractive green cover with plants. This place is actually a hill station situated in the Western Ghats. Munnar looks very amazing during the monsoon, making the atmosphere very romantic. The place is being visited by many of the tourists from all around. Kodaikanal is an awesome place having many of the attractive valleys all around. The monsoon here is very pleasing. This is a popular tourists destination. One can easily see the area getting covered with green trees which looks very attractive in rains. In monsoon, one can easily see many of the small streams of water flowing all around. Many of the tourist come here to enjoy the awesome atmosphere here. Andaman and Nicobar islands are being visited by many of the tourists every year. The beaches here are very awesome and attractive. However, the monsoon here are very outstanding with very nice and heavy rains lashing the region. The region here totally gets covered with greenery and lush green mountains. The tourists here have their best enjoyable moments in the monsoon. The rains in the Cherrapunjee can be seen throughout the year. The rains have given rise to many of the mesmerizing waterfalls which has been attracting many of the tourists. This subtropical forest is covered with green all over. The mountains here are very pleasing and suitable for the trekkers. The tourists coming here are increasing numbers every year. Mussoorie is a wonderful place located beautifully in the foothills of the Himalayas. The spectacular view of these undulating mountains are really very awesome. It is very interesting to watch the clouds being appearing on the top of the mountains. The Battha and Kempty waterfalls are the most visited place here. These waterfalls look very spectacular during the monsoon season. Mount Abu is a very great place in Rajasthan, which is visited by many of the tourists every year. Although it does not rain heavily here, the light and drizzling rains creates great atmosphere here. There are many of the spectacular views in the Mount Abu which is luring many of the tourists here. The tourist have some of the very memorable moments here. 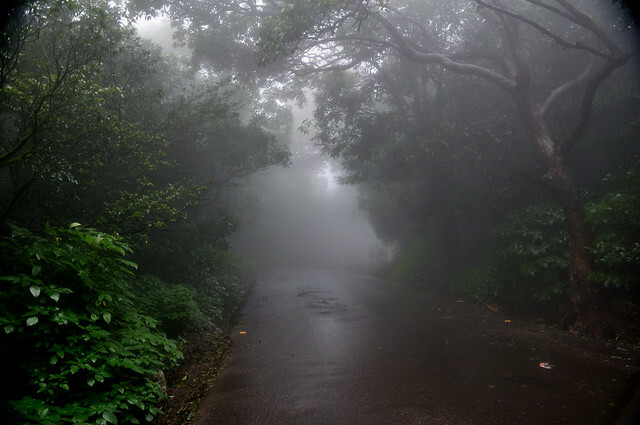 Mahabaleshwar is a very fascinating place situated beautifully in the Sayadri ranges. This hill station is well-known which is flooded nicely with the tourists. This place looks more attractive in the monsoon season where the region gets covered with lush green and the atmosphere becomes very cool. There are many of the fantastic points here like monkey point, wilson point, pratapgad, lingmala waterfalls and many more places. The tourists really have some enjoyable moments here. The Lahaul-Spiti is a very nice place for the tourists. This place looks amazing in the monsoon season. The place been located in the high mountain region, the clouds can be easily seen here touching the mountain tops. The trekkers here have some very enjoyable moments. Different monasteries are also one of the attractions of the people coming here. Many of the people along with their friends can be easily seen roaming in this amazing place. Ranikhet is one of the very awesome place to be visited during the monsoon season. The climate here is very cool and pleasant. This place looks very energetic during the monsoon season. Small waterfall can be easily seen all over here in the monsoon. People from long distance visit here. The Golf Course is also worth visiting place here. The temperature in the Pondicherry is quiet high during the other seasons. However, the place cools down very pleasantly during the monsoon season. This place looks amazing with the lush green valleys, exotic lakes and many more places. The tourists come in large number in Pondicherry during the monsoon season.